You’ve probably heard about Carlos, the French crime epic that premiered on Canal+ and is now doing the rounds on the festival circuit. Along with 400 others, I attended the sole LFF public screening of the film on Saturday afternoon and don’t worry, I brought a packed lunch. The film’s story takes place across over twenty years, and judging by its length, most of that plays out in realtime. In the 334 minutes it takes to experience Carlos, you could watch Eurotrip three times and still fit in two and a half episodes of Frasier. 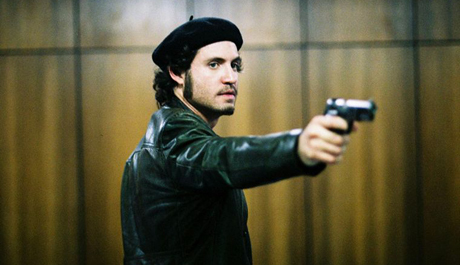 While it was shot for TV (and the runtime certainly encourages box-set-style viewing), Carlos benefits massively from the cinematic experience. It was shot on film and in 2.35 and looks absolutely ‘stonking’ on the big screen. It’s also incredibly immersive and perhaps its most impressive qualification is that it does manage to sustain an audience’s interest for almost all of its 6 hour length. There’s always a temptation with massively long and/or difficult films to pretend they’re better than they are, because a) not enough people will see them to prove you wrong, and b) it makes your effort look like less of a waste of time. In all honesty, Carlos is less than brilliant, and if I could go back to Saturday morning I might rethink my decision to dedicate 6 hours of my life to it. In short: A solid piece of work that doesn’t quite deserve 6 hours of your time.